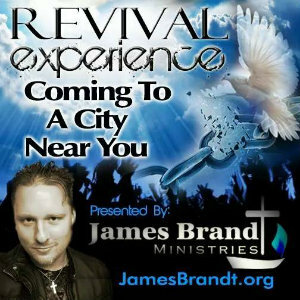 James Brandt Ministries | Experience Revival! James Brandt preaches and teaches the Word of God in such a way that is easy to understand and that will help you grow spiritually in God's Word. His bold and uncompromising delivery of God's Word creates an atmosphere of faith that allows the Holy Spirit to minister to each person in a powerful way. James ministers under a strong prophetic anointing that will cause you to leave each service with a greater hunger and passion for God's Word, manifest presence and power in your life! James Brandt is a graduate of RHEMA Bible Training Center in Tulsa, Oklahoma. While attending RHEMA, he was employed by the Oral Roberts Evangelistic Association working with the Abundant Life Prayer Group. James Pastored full-time for about 4 1/2 years, and has had radio shows in Detroit, Las Vegas, and Big Rapids, Michigan; he has also been a guest on radio shows that aired in Detroit, San Diego & Los Angeles areas. He is also author of the book, "Revival Experience Handbook." James is an Ordained minister of the Gospel of Jesus Christ, and has been ministering since 1999. On May 3rd, 2007 at 12:03am I had a supernatural experience with God that changed my life and relationship with Him forever! I have shared this many times in my preaching and one on one conversations with individuals, but I wanted to include it in this book to encourage you. Back in April of 2007, I attended a Great Awakening Conference in Jacksonville, Florida and received a powerful prophetic word from Dr. Rodney Howard-Browne that confirmed everything I have been praying about in my personal time. 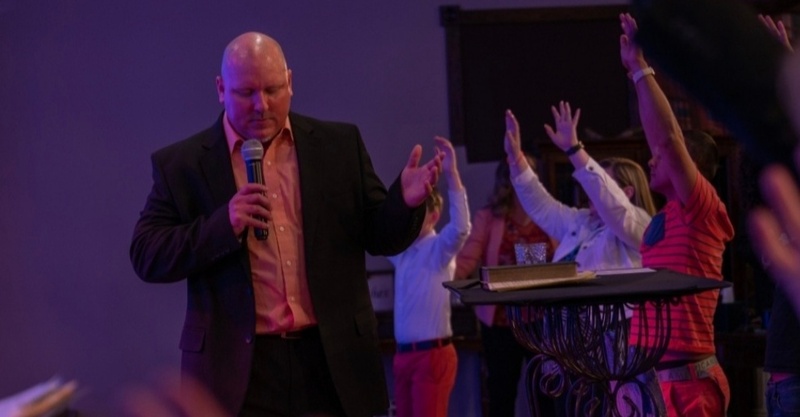 When I got back to Big Rapids, Michigan to the Church I was Pastoring at the time (Revival Christian Center), I felt very strongly in my spirit that I needed to call the church to fourteen nights of prayer. Up to that point I have been crying out to God for more of His presence, more of His power, and for more revelation of His Kingdom and the realm of the spirit. My expectation was very high and I knew that God was getting ready to do something that was going to rock my world and answer the cry of my heart to Him. The church responded well to my call to prayer; most came for about an hour or two and left. About four to six dedicated individuals stayed until about 2:00am-3:00am every night and really pressed in and desired a supernatural move of God. The nights were filled with people praising & worshipping God, intense prayer in English and in tongues; we were totally exalting the Lord Jesus Christ with such passion! Let me tell you this, God is a rewarder of those who diligently seek Him, and He desires to give unto us the things of His Kingdom more than we know; He is just waiting for us to desire it and draw near to Him! On the tenth night of prayer out of the original fourteen, a supernatural breakthrough finally came, suddenly! At 12:03am on May 3, 2007, a few individuals and I were sitting at the front of the church taking a short break and talking about the things of God. In the back of the sanctuary there was a very thick and large stage curtain that separated the overflow section from the regular sanctuary area. The lights were very dim and as I looked towards the back of the sanctuary at the very large stage curtain, it was moving very noticeably in a wave-like motion; the strange thing was, there was no fan or air conditioning on and no windows were open, it was moving on its own. I brought it to the attention of the others and we were surprised at what was happening with it; again, it was very strange and noticeable! I stood up and began to walk toward the curtain in the back of the sanctuary, and as I did, the manifest presence of God got stronger and stronger on me and in the building; everyone felt the whole atmosphere change dramatically once we recognized the curtain! It felt like electricity was flowing through every part of us and at the same time like warm oil being poured over us; it felt heavenly! In fact, it took some time to get to the back of the sanctuary, because we were so overwhelmed by the presence and glory of God that was manifesting! In the Old Testament, it talks about the glory of God filling the Temple to such a degree that the priests couldn't even minister; that's what we were feeling! When we finally got to the back of the sanctuary by the curtain (I am telling the truth and not exaggerating at all), the sound or roar of wings were going over our heads at the top of the curtain back and forth like angels were flying back and forth; and very strong rushing mighty wind like sound! The manifest presence of God would hit us like a wave going back and forth and we all fell to the ground! And then flashes of light like lightning were going off all over the sanctuary; angels were manifesting everywhere! A sparkling substance began to fall in the sanctuary in different locations; most that have experienced this call that substance "gold dust;" it’s a sign and wonder. We were experiencing a move of God just like we read about in the Bible; that was my heart cry to God and He allowed me to experience it more than once since the first time! We even heard angels singing when we walked into the lobby of the church! It was so heavenly and beautiful that human words can't even begin to describe it! We saw many angels manifest in different forms. Let me assure you of this Biblical Truth, the spirit realm is just as real as the natural realm! Everything I wrote is the truth of what took place! Other people experienced the same thing with me that night that can even testify to its validity. We were nobody special, we just had a desperate desire to go deeper with God and pressed in until the breakthrough manifested, and you have that same opportunity! God is so good, beyond what our human minds can even comprehend! He is waiting for you to spend quality time with Him, it’s His good pleasure to give unto YOU the Kingdom! I know for me personally, I will never be the same again since He came near, and I want more! James Brandt speaking on Seeing the Victory before it takes place from Jakes House on Vimeo. James Brandt speaking on being a prayer warrior from Jakes House on Vimeo. James Brandt speaking on the results of not praying from Jakes House on Vimeo. James Brandt speaking on Praying the name of Jesus from Jakes House on Vimeo. Click here to go to our "Revival Now TV" Youtube page! 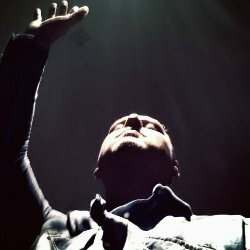 Click here to go to my "Revival Now" podcast page on iTunes and subscribe!